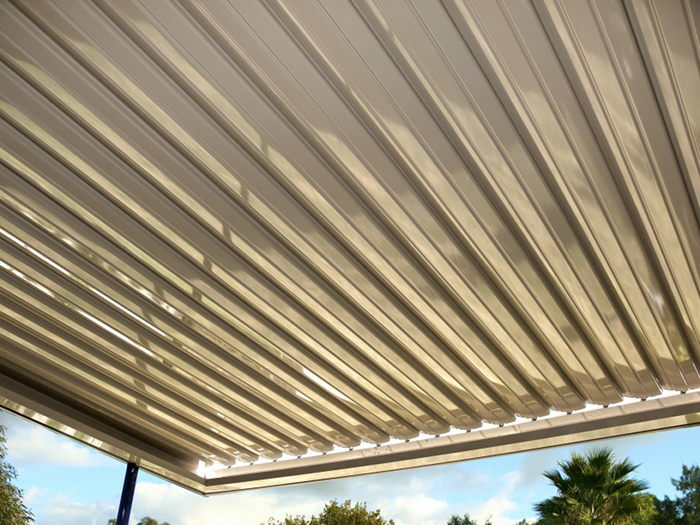 Control the weather with the innovative stratco outback sunroof. 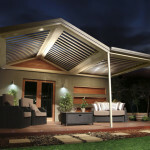 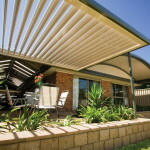 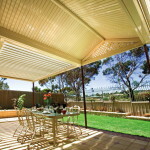 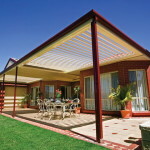 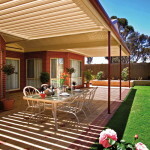 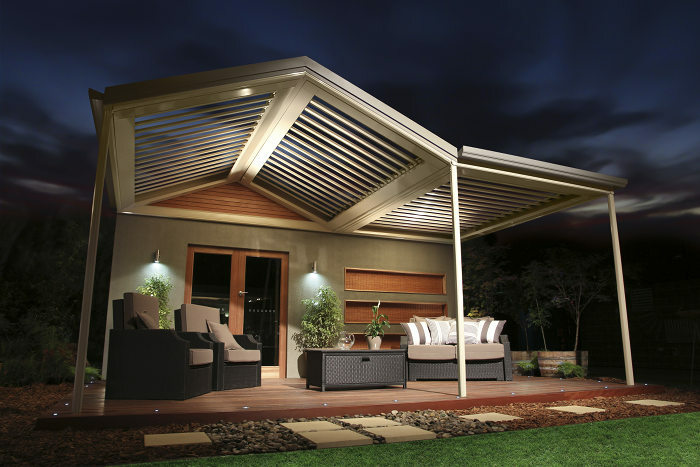 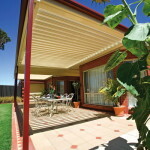 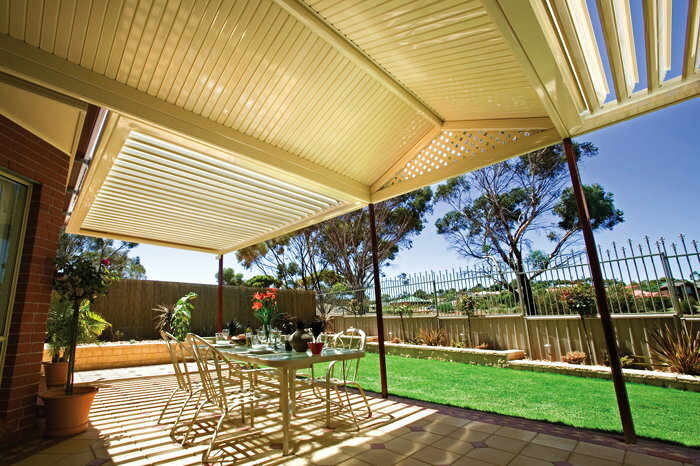 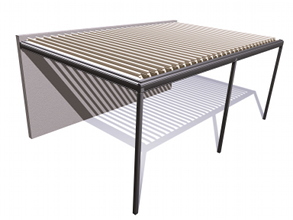 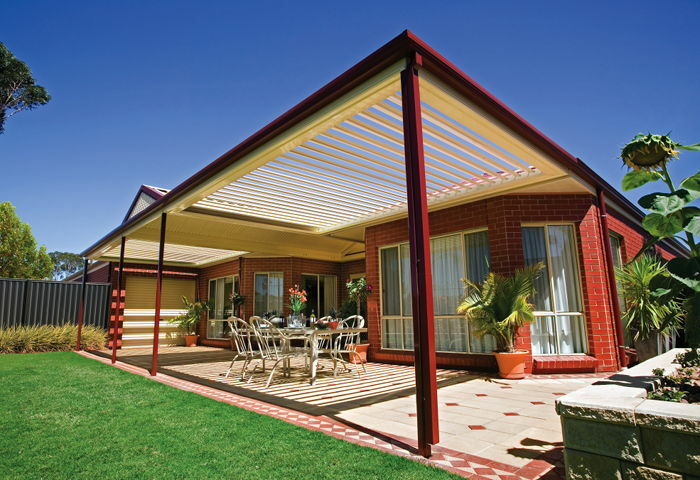 its electronically controlled louvres can be opened and closed to your desired position. 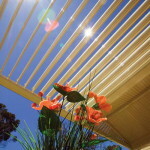 Let the breeze and sunlight in when the weather is fine; and provide protection when the clouds set in. 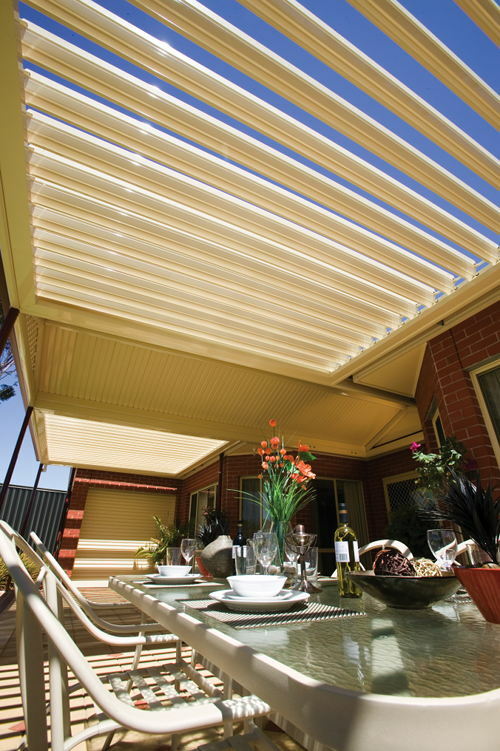 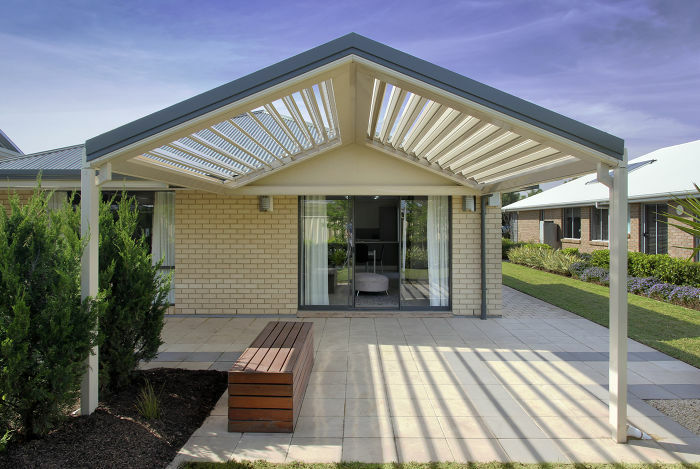 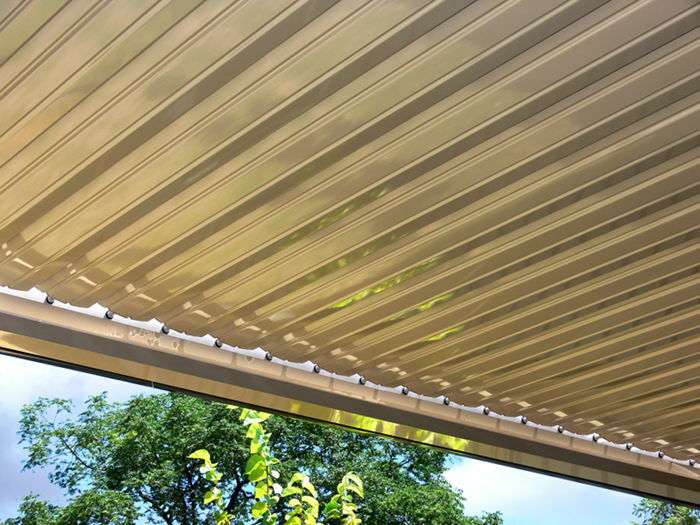 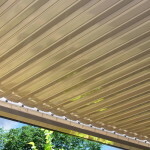 By adjusting the rotating louvres with the hand held remote, the level of sunlight, shade and weather shielding can be controlled. 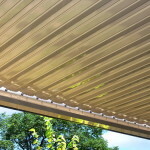 the system has an inbuilt rain sensor that will automatically close the blades if rain is detected. 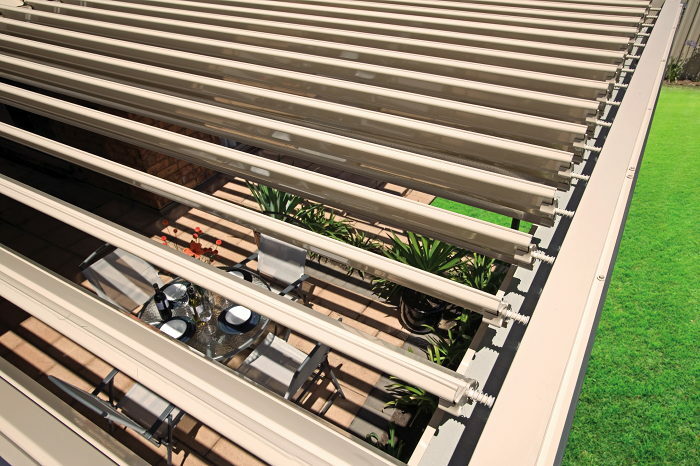 When the louvres are completely shut they form an interlocking profile that protects from the weather. 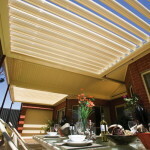 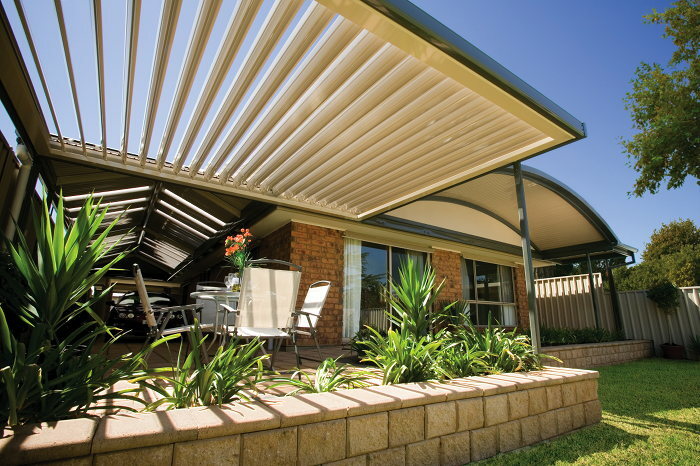 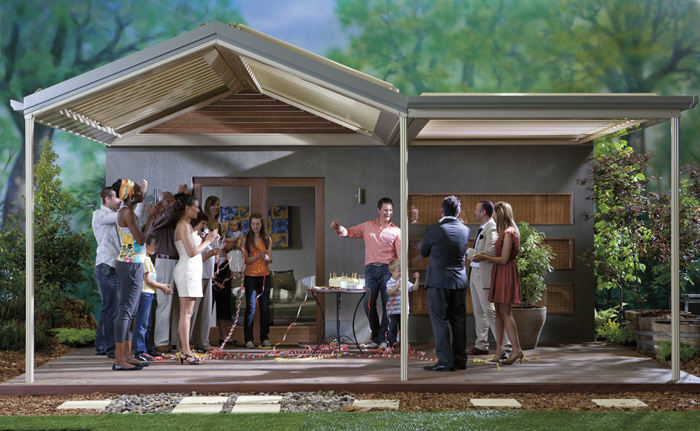 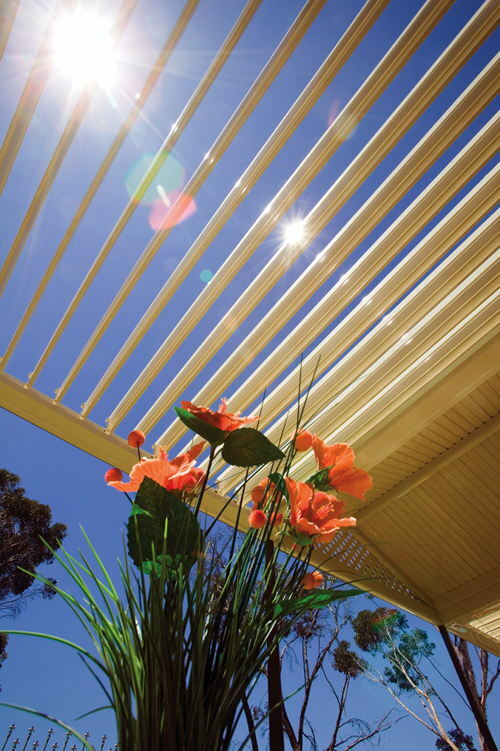 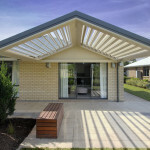 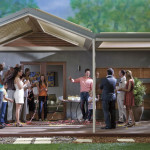 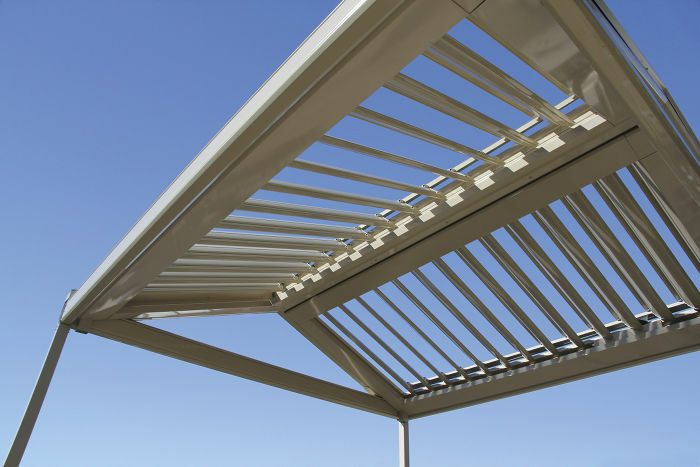 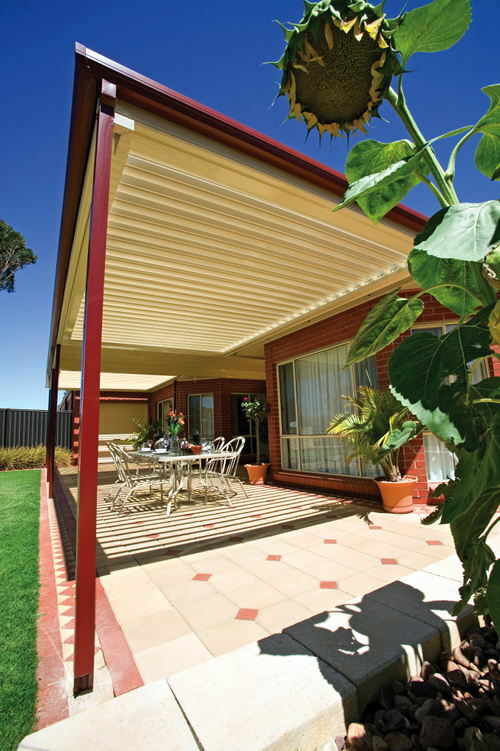 The stratco outback Sunroof is available in a flat and gable design. 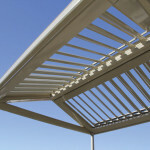 It can span up to 3.9 metres for Flat, and 7.2 metres for Gable designs thanks to its strong, well engineered blades. 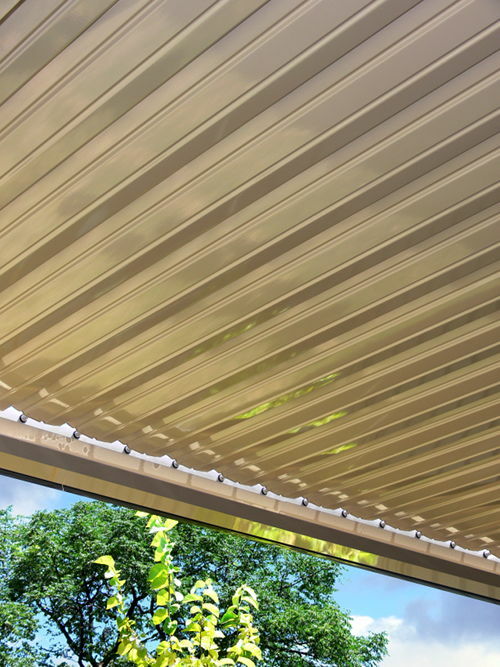 The pre-painted steel blades have a unique foam insert that makes them very rigid and helps to insulate from any surrounding noise. 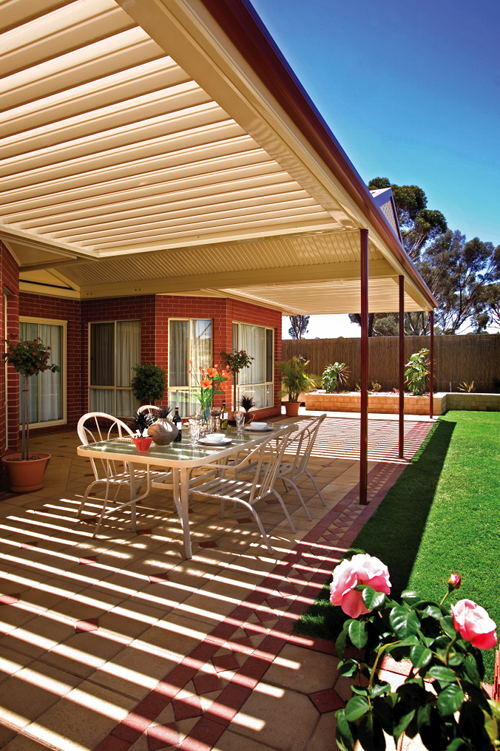 the moving parts use specially designed bushes for whisper quiet performance, and the blades are driven by a powerful 24 volt DC linear actuator for reliable long life operation. 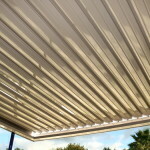 The system is designed to be easy to install. 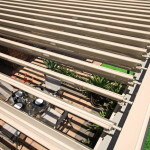 The blades come pre-assembled and the mounting extrusions that house the blades come supplied with laser cut square holes for the louvres to fit easily into the framework.